The kind of knife you bring on a hunting trip matters. While its primary purpose might be processing meat, it can also be used in different ways around the camp. So what characteristics make the best hunting knife? The answer to that really depends on your needs but in general, it’s nice to have a tool that can fit right in the pocket and is sturdy enough to handle different kinds of cutting tasks. This might not be the “safest” option in the list, but it’s a really good knife given its price. Not only is the cost friendly, but it also does a good job when preparing small game. In short, this option is not suited for those who like hunting big game. 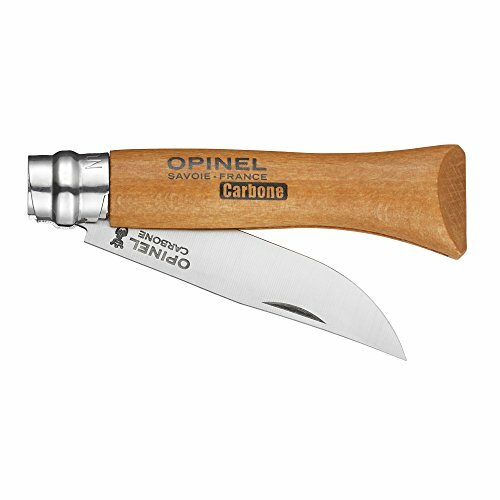 One of the best features of the knife is the palm swell in the handle which makes gripping really easy. The wooden handle also lends it a nice look. 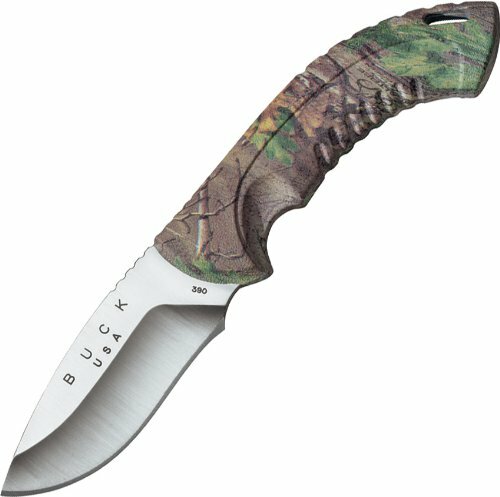 The blade is 3.35” long which is enough for handling small game. Hunters are all different, but there are those who consider the best hunting knife to be one that can fold. A lot of hunters put a knife in their pocket and nothing looks safer than one that can be folded. This is what you get with the Havalon Piranta. Apart from the folding feature, the Piranta also has scalpel blades – replaceable ones at that. In short, you can just switch out blades depending on what kind of game you’re working on. Although the Piranta is not good with breaking through bones, it does make clean cuts on meat. 3-1/4" Drop Point 420HC Steel Blade delivers Excellent Strength, Edge Retention, and Corrosion Resistance. Full length tang, and heavy-duty ergonomic design with index finger groove. 7-3/4" Overall Length, 4.6 oz. When choosing hunting gear, it’s best to go with brands that have been around for a long time. They surely know what they are doing, and that’s what you get with Buck Knives. Their Omni Hunter is priced reasonably and makes a great hunting companion. Handling game means having your hands wet, and the contoured rubber handle of the Omni Hunter ensures that you still have a firm grip on the knife even in slippery conditions. 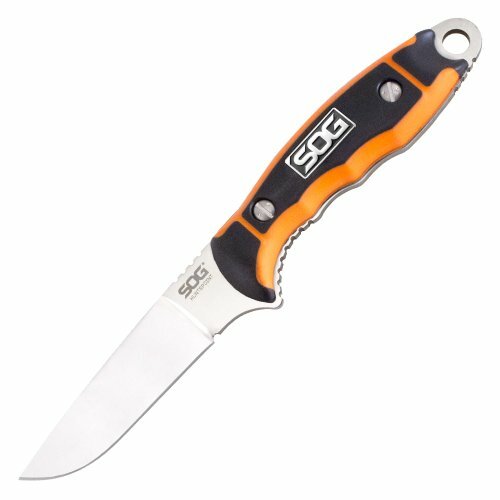 This knife has a 3.25” blade that has excellent strength and is more than capable of dressing game. As its name suggests, this blade is used for de-boning game. Field & Stream magazine have listed this as one of its best hunting knives in 2013. The knife has a 3.6-inch fixed blade with a drop-point shape and made of AUS-8 stainless steel. 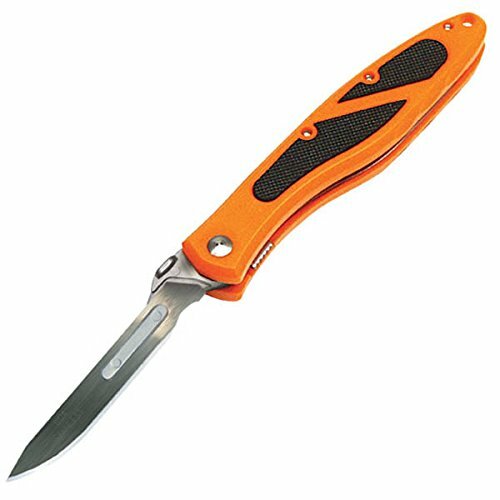 The orange and black handle is made of rubber with glass-reinforced nylon that makes it comfortable to hold. Ken Onion, a well-known knife maker, spent a lot of time with professional hunters as well as Alaskan guides during the development of this blade. The result may be a little unusual but the knife is pretty functional. The blade measures 3.75” and has a narrow tip that minimizes the chance of hitting innards when working on a game’s stomach. With a textured handle, this blade will stay firmly in your hands.